Jack Johnson is to be honored with the National Wildlife Federation's National Conservation Achievement Award on May 17. NWF’s annual awards program was established to honor individuals and organizations whose achievements in wildlife and natural resource conservation deserve national recognition. The theme for the May 17th event is discovering the joys of nature for all of our children. Jack Johnson grew up surfing and playing guitar on the North Shore of Oahu. He released his first album Brushfire Fairytales in 2001 and since has released 5 studio albums and 2 live albums that have sold over 20 million copies worldwide. With his success, Johnson has always tried to take the spotlight and shine it on issues important to him. In 2003, Jack and his wife Kim founded the Kokua Hawaii Foundation and Kokua Festival to support environmental education in Hawaii’s schools and communities. Johnson, his Brushfire Records label, and his touring crew have been leaders in the greening of the music industry in all areas of tour production and album packaging. In 2008, Jack donated 100% of his Sleep Through the Static tour profits to establish the Johnson Ohana Charitable Foundation, an endowment founded by Jack and Kim Johnson to support environmental, art and music education worldwide. 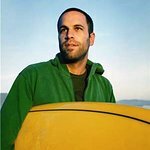 100% of Jack Johnson’s recent To The Sea tour was also donated to charity. NWF joined with over 220 non-profit partners to educate fans at the concerts about local and global environmental issues, and a contribution was made to NWF’s Environmental Education and Gulf Oil Spill Support efforts. These tour profit donations, along with Johnson’s personal charitable activities, has resulted in over $25 million donated to charity since 2001. 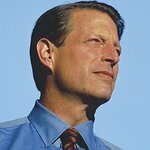 Previous award honorees include Jimmy Carter and Al Gore. The event takes place at the Mayflower Renaissance Hotel in Washington DC. More information can be found here.